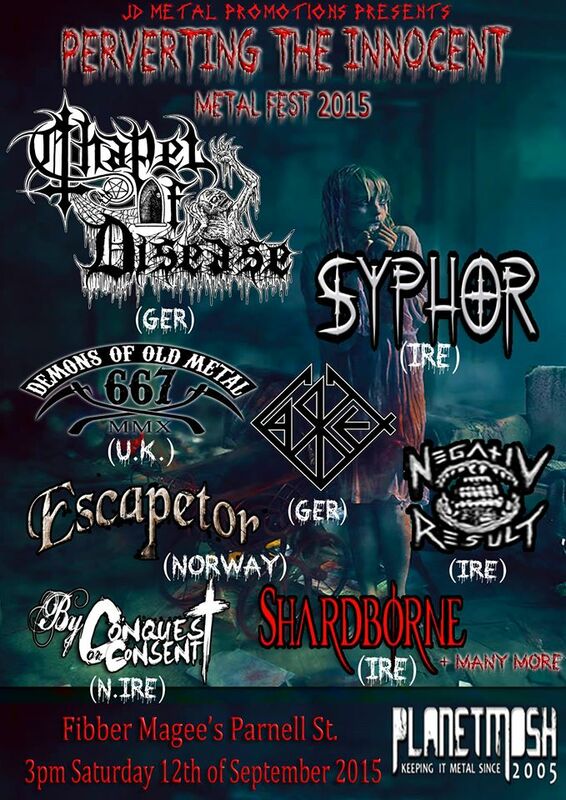 The Perverting The Innocent 2015 Metal Festival. PTI will be held on Saturday the 12th of September. In The Voodoo Lounge Dublin and will feature the best of the underground metal talent from the Irish and European metal scenes. As a precursor to the Perverting The Innocent festival this year. We will be hosting warm-up shows around the country. 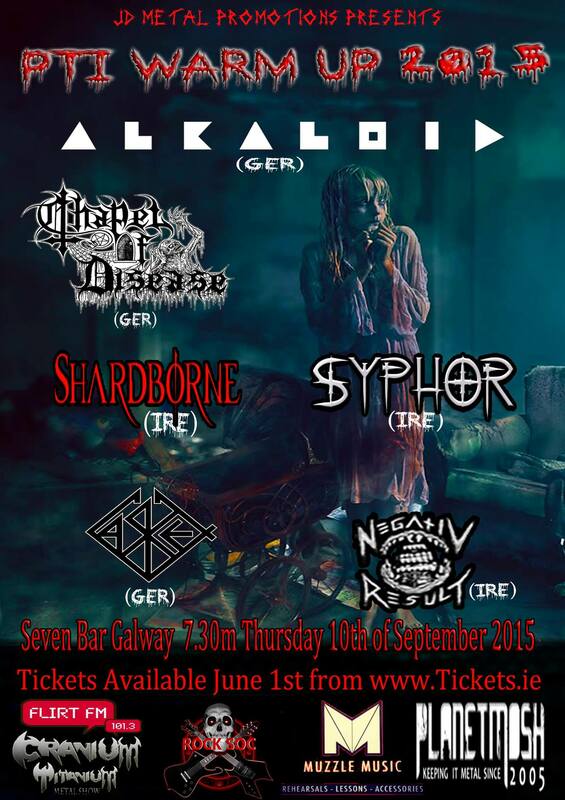 The first of which will be on Thursday 10th of September at The Seven Bar, Bridge St., Galway. 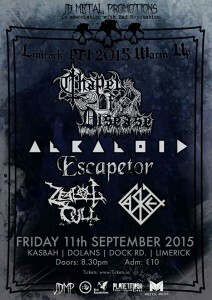 Admission for the Warm Up show is 11 euro Ex Booking & on sale through www.tickets.ie from 9am on the 1st of June. 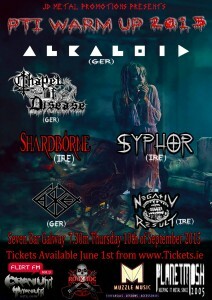 Admission for the Warm Up show is 10.00 euro (Ex. Booking) & on sale through www.tickets.ie from 9am on the 1st of June. 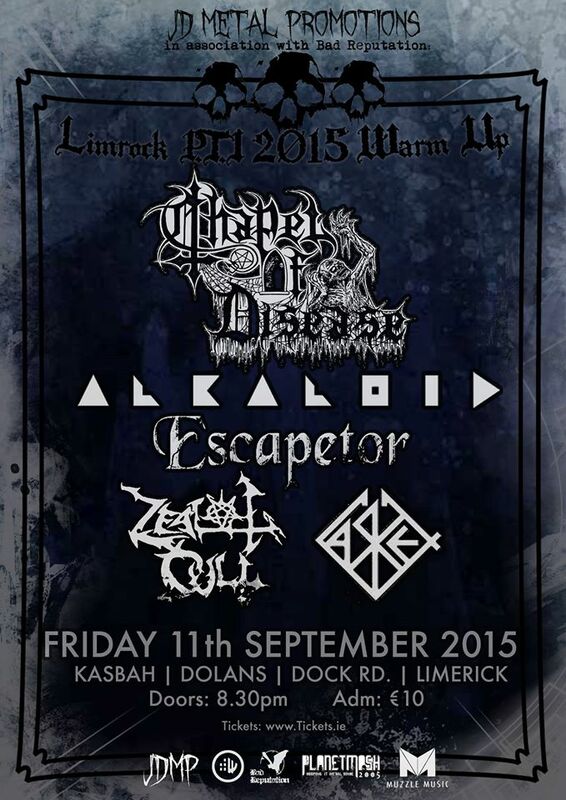 Admission for the PTI 2015 Metal Fest 17.00 euro (Ex. Booking) & on sale through www.tickets.ie from 9am on the 1st of June.